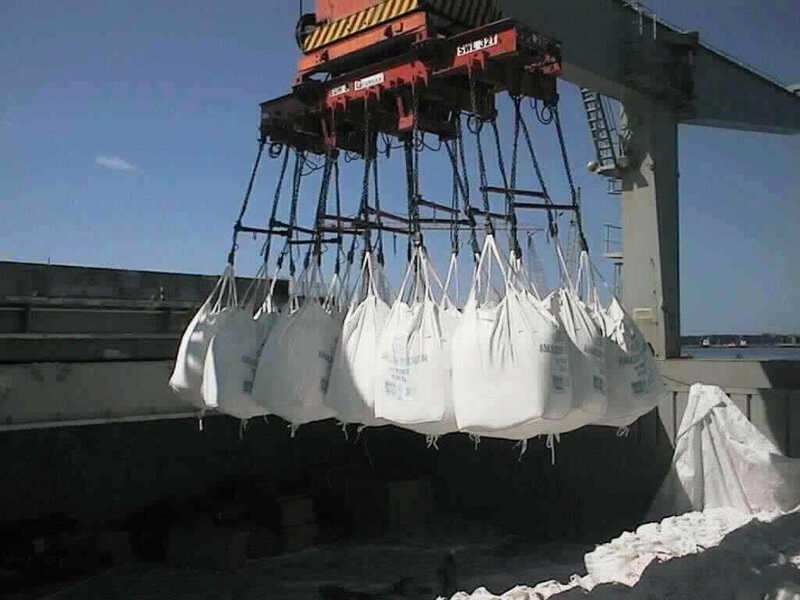 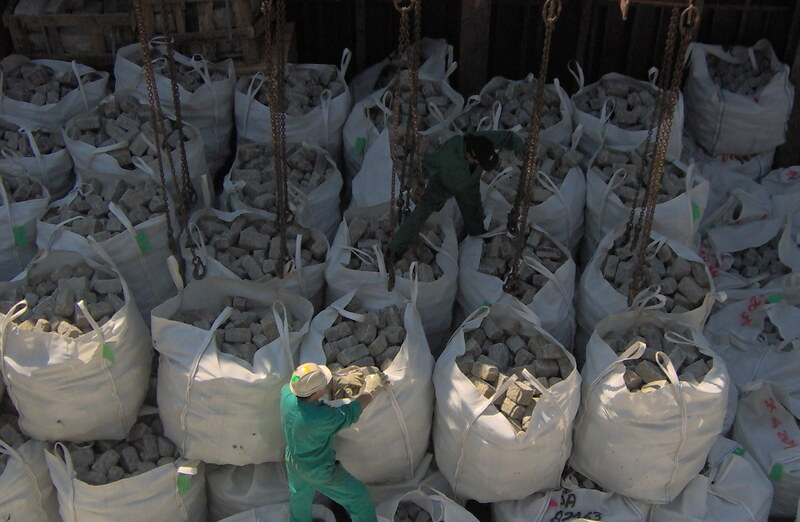 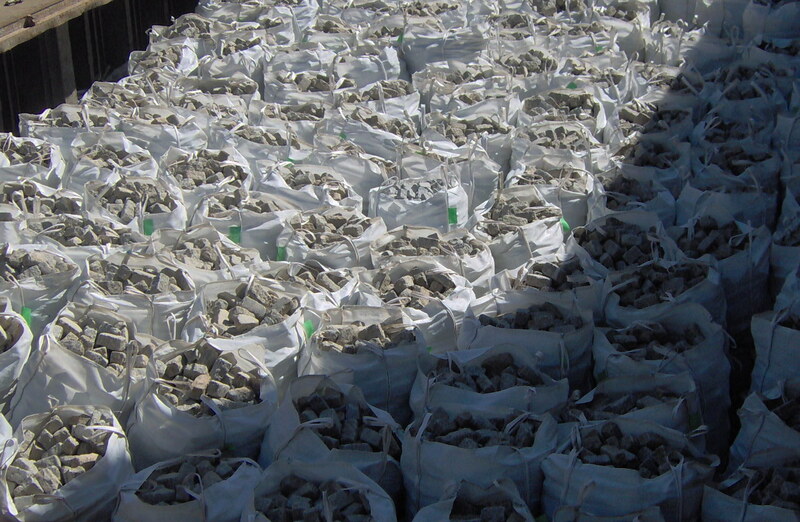 Some granular cargoes such as silica, soda ash, clay, fertiliser, prophants, resins or cement are often shipped in Flexible Intermediate Bulk Containers, better known as Big Bags. 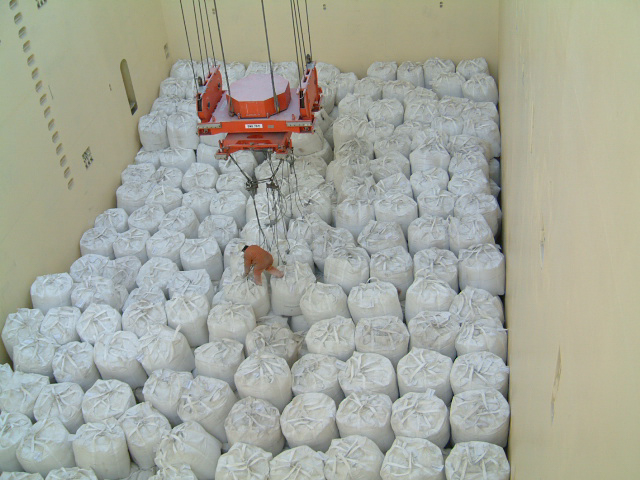 Careful handling combined with clean holds and dehumidification system enable us to deliver cargo in excellent condition. 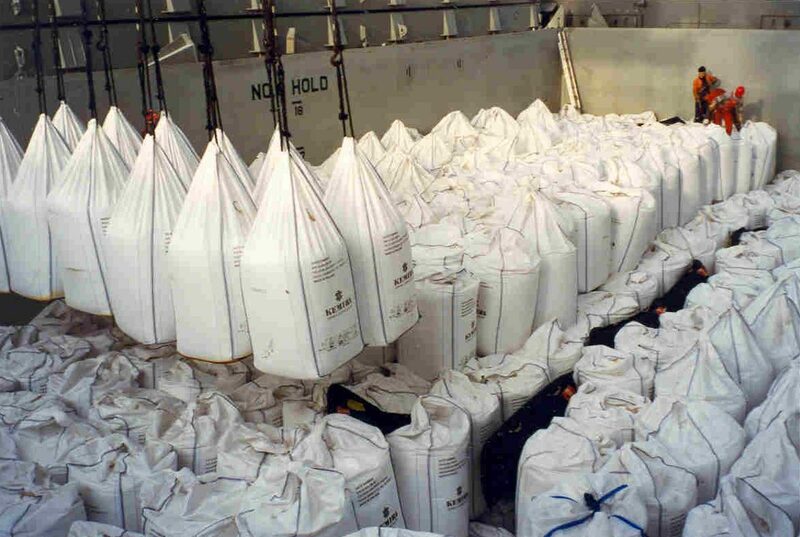 Big bags are generally made with flexible materials such as plastics or woven fabric which will ensure maximum use of a bag’s capacity. 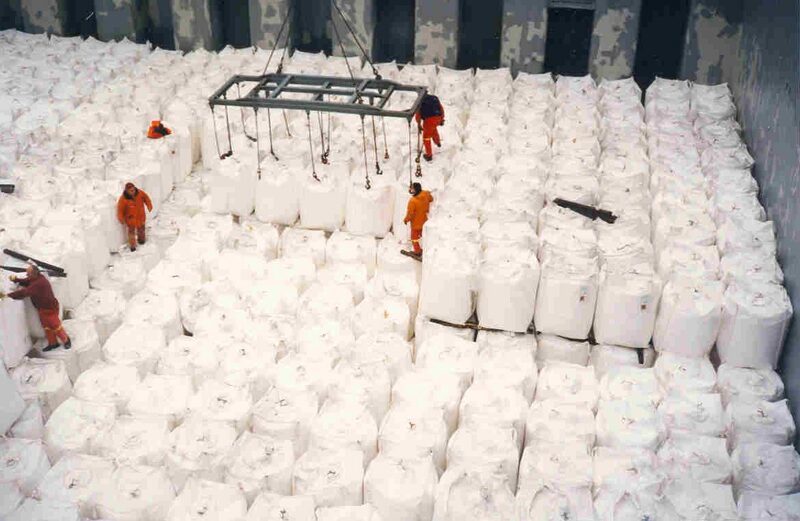 Big bags offer the advantage of minimising handling and protecting commodities from contamination. 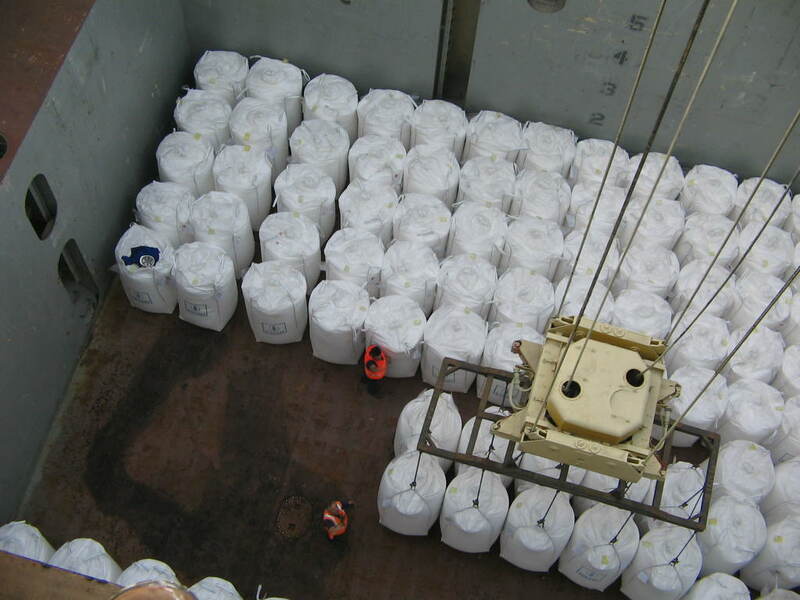 They pack tightly in the box shaped holds of our open hatch gantry and jib crane ships for optimal storage efficiency.